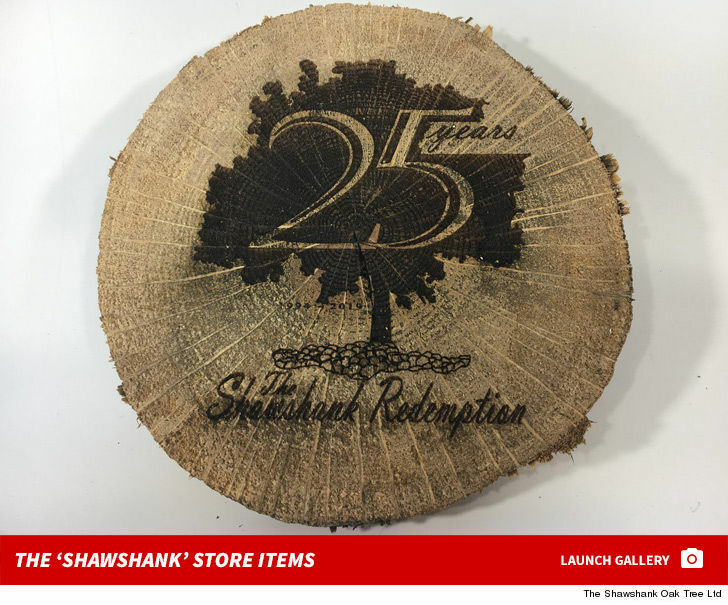 'Shawshank Redemption' Fans Getting Wood For 25th Anniversary!!! 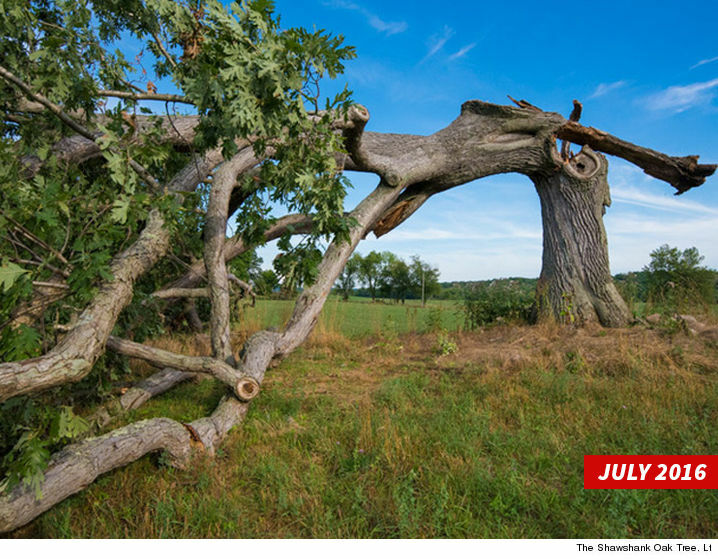 The famous oak from "The Shawshank Redemption" is the ultimate giving tree, 'cause 25 years after the movie came out ... it's still giving fans a way to celebrate one of the all-time classics. As we've told you, the tree where Andy left his note for Red before hightailing it south of the border, suffered severe damage in a 2016 thunderstorm. The owners of the Ohio property where it stood have been using the lumber to make collector's items, and they've got a special one to mark next year's 25th anniversary. We're told some of the final slices of the trunk are getting a special engraving to mark the occasion and, yes ... they're for sale. $65 a pop. 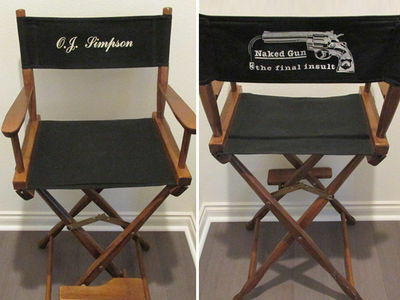 They'll be available starting this weekend at Shawshank Hustle -- an annual race and festival in Ohio -- and also online. Don't worry, super fans ... they're not cashing in on the WHOLE tree. We're told the owners already set aside a large piece that will remain inside one of the filming locations ... the Ohio State Reformatory.